If you've been watching this season of Gordon Ramsay's hot and fiery show, MasterChef, you know the competition has never been more fierce. 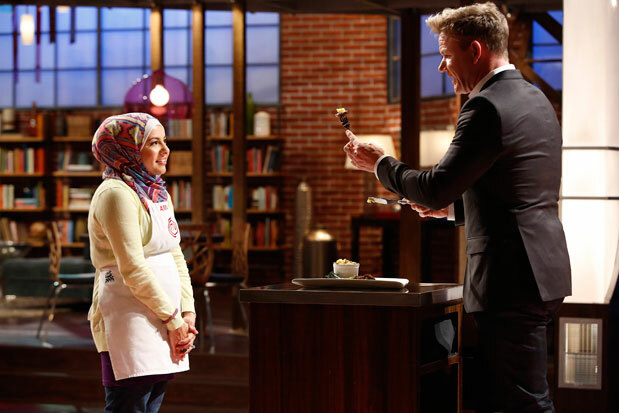 We were sad to see Seattle's Amanda Saab get eliminated on Episode 8 after an intense baking Pressure Test. And although we can't Tweet #teamAmanda anymore, we were thrilled to get to talk with the local home cook and hear her story. We also managed to snag an exclusive of one of Saab's recipes straight from her kitchen. Saab was born to Lebanese immigrants in Dearborn, Mich.,—food was an essential part of every family gathering. She entered the world of cooking while helping her mother and grandmother in the kitchen. Saab tells us her first memories in the kitchen were baking breads and cakes with her mom. "My grandmother is well into her seventies and still cooks for over forty people every Saturday! It's always a party at her house." The journey to the MasterChef auditions this past year was a long process, but it gave Saab time to read more cookbooks, practice new recipes and learn new techniques. Though her time on the show was cut short, Saab had only positive things to say about her experience: "It was definitely one of the best experiences in my life...I learned a lot, made some great friends and got to cook for Gordon Ramsay, Graham Elliot and Christina Tosi! And they liked my food!" Saab moved to Seattle with her husband three years ago and her cooking fire was immediately ignited by the local food. "From the farmers markets to the access to the fresh seafood, I was inspired. I love salmon, but it tastes so much better here." Below, Saab shares with us a sockeye salmon recipe with a little spice, tracing us back to her roots. Season both sides of salmon generously. In a large skillet heat oil. Place filets skin-side down. Cook until skin is crispy then flip cooking for 1-2 minutes. Whisk together tahini, lemon juice, olive oil, sumac, salt and pepper. Assemble salad on plate. Top with dressing and salmon. For more of Amanda's recipes, visit her blog.